Getting ready to decamp to bed this evening, I happened to hear on the TV news that Larry Hagman has died. It felt like a bit of a kick in the midriff because the memory of J.R. brought back the scent of my late teenage years so vividly. Dallas became hugely popular when I was doing A Levels, and the first series induced in me the first stirrings of what later became a very bad habit i.e. staying in to watch stuff on television (translated later to staying in to play with the computer) rather than getting out and boogying with pals, as teenagers are supposed to do. Still, though, I can’t totally regret the lost time, because I enjoyed it so much. The first series of Dallas was great fun, and–confusingly–J.R. was such an endearing anti-hero. 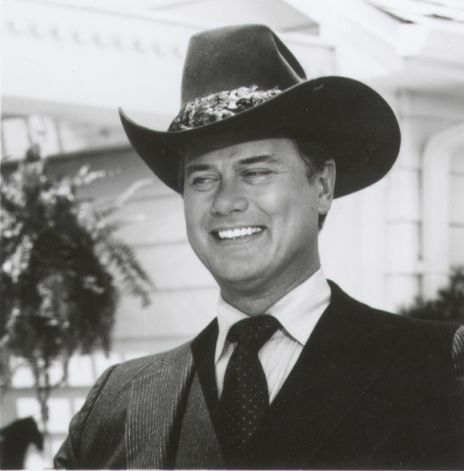 I remember seeing Larry Hagman interviewed on television at the time, and he seemed to take great pleasure in the unexpected fame and glory that came with the role. “Good for him!” I thought at the time. I love to see people achieve unexpected success at any stage, and particularly late(ish) in life. For some reason, J.R. is always associated in my mind with this Beatles tune: I think it’s something to do with the super-confident strutting groove of the thing. This entry was posted on Sunday, November 25th, 2012 at 2:26 am and is filed under Music, TV. You can follow any responses to this entry through the RSS 2.0 feed. You can leave a response, or trackback from your own site.